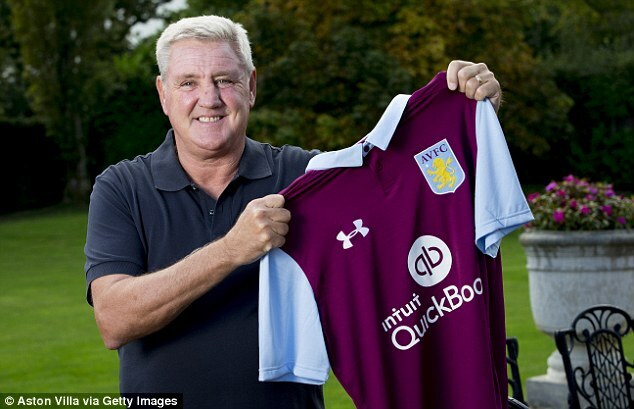 Aston Villa have declared that Steve Bruce has been chosen as the club's new manager. The former Hull City and Sunderland boss has replaced Roberto Di Matteo at Villa Park, following his sacking on October 3, has he could only earn just a win out 12 matches this season. The owner of the club Dr. Tony Xia had teased the fans via social media that an announcement on the vacancy was inevitable, and the club has at last officially announced Bruce's arrival on a contract for which the duration remains undisclosed. "It's a wonderful opportunity. It's one of the big clubs in the country. To be given the opportunity to manage it is awesome," Bruce told the club's official website. "I appreciate the challenge of trying to take the club to where it aims to go and needs to be, and try to change the misfortune reports we seem to have had over the past few years. I remain absolutely happy to have been permitted. I hope I can turn things around for better." The owner, Xia made known that he is happy to welcome Steve to the football club, because looking at his past record, not only at leading teams to promotion from the Championship but also indisputable experience in the Premier League, he is convinced they have got an excellent manager. "I have had good conversations with Steve and we look forward to working with him." He added. The 55-year old coach departed Hull City in July after leading them back to the Premier League with a play-off final win over Sheffield Wednesday, and was a front-runner for the England job before Sam Allardyce was appointed. The former Manchester United captain started his time in charge at Villa with a home match against local rivals Wolves which ended in 1-1 draw as both teams scored with penalty kick.